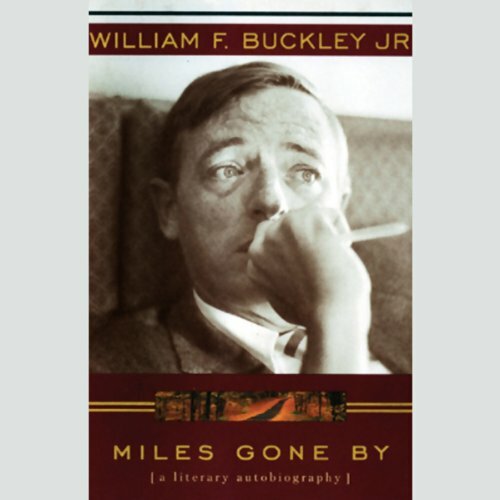 In this autobiography, woven from personal pieces composed over the course of a celebrated writing life of more than 50 years, you'll meet William Buckley the boy, growing up in a family of 10 children; Buckley the daring young political enfant terrible, whose debut book, God and Man at Yale, was a shocking New York Times best seller; Buckley the editor of National Review, widely hailed as the founder of the modern conservative movement; Buckley the husband and father; Buckley the spy and novelist of spies; and Buckley the bon vivant. You'll also meet Buckley's friends: Ronald Reagan, Henry Kissinger, Clare Boothe Luce, Tom Wolfe, John Kenneth Galbraith, David Niven, and many others. Along the way, the listener will be treated to Buckley's romance with wine, his love of the right word, his intoxication with music, and his joy in skiing and travel. Bill Buckley has been a titan of political thought for the last half century and was seminal to my own adult political formation. Therefore, my personal veneration of the man may lend to a biased view of this book. That said, because this book is actually a conglomeration of previously published material, it occasionally suffers from a lack of flow. However, if you are interested in the man himself, then this book is for you. The fact that it is narrated by the author, adds greatly to the experience. 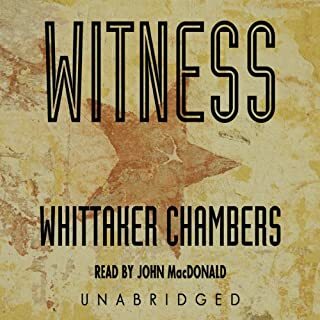 While there are passages on subjects that I would not consider cynosure (I am not a sailor and am not particularly interested in that pastime), I still give the audio book a 5-star rating based on the overall experience. I knew of Buckley from his appearances on Firing Line, his newspaper columns, and occasional speeches and essays. I read this book immediately upon concluding Christopher Buckley's "Losing Mum and Pup" to see why Christo (if I may be so familiar) was so fond of his father. The book is a series of, for the most part, apolitical essays about life -- interesting people he has known, places he has traveled, and his two favorite outdoor pursuits, sailing and skiing. He shows himself to have been warm, witty, considerate, and a boon companion on his adventures. I found myself wishing the book could go on and on. Having the author narrate a personal book like this is helpful because he can add an arch tone to suggest a humorous jab that might be missed by the casual reader. Doubtless my favorite story was about the "Angel of Craig's Point," about which I will say no more. Read the book. I intend to read more of his work. I also see where Christopher got his wicked sense of humor. Great book, particularly for those not familiar with his body of work. The cover photo is a poor choice -- it makes Buckley appear weak, querulous, and pensive, qualities which simply don't exist in the book. 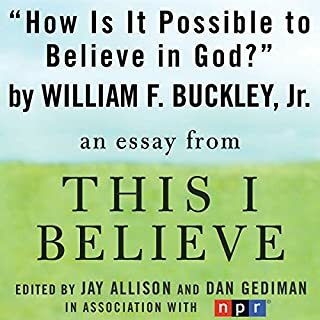 This book is Buckley's reading of Buckley's writing on Buckley's life experience, from childhood onward. I could imagine no better book, save God Himself reading the King James Bible. Fun memoir, good anecdotes... occasionally starts to drag, but Buckley's voice is great nostalgia. Occasional uncorrected slip-ups do not detract but rather make it seem as though you're having a conversation with him. What made the experience of listening to Miles Gone By the most enjoyable? There are very few things in life I enjoy as much as listening to William F. Buckley speak, so for me this was as good as it gets. Most know what a genius the man was, but far fewer are aware of what a sharp wit and tremendous sense of humor he had. There were times while listening I was laughing out loud. What was one of the most memorable moments of Miles Gone By? His section on sailing has been my favorite part so far. 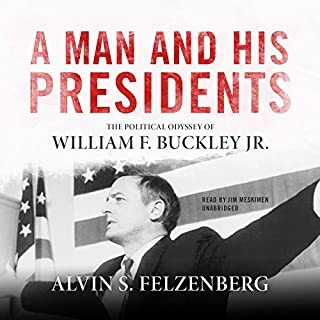 Have you listened to any of William F. Buckley’s other performances before? How does this one compare? The obituary for his mother was very moving. She must have been a very remarkable woman. Narrated by Bill himself which makes it very genuine. What does William F. Buckley bring to the story that you wouldn’t experience if you just read the book? WFB recited his work with the passion that he wrote it. Keep up the good work and I hope that more authors narrate their written works. Would you listen to Miles Gone By again? Why? Yes, anytime I need to hear the voice of Bill Buckley to remind me of the sanity that seems lost in his absence. What about William F. Buckley’s performance did you like? That it's William F. Buckley so that his words match his thoughts. I listened on a commute over a few weeks after having read the book 10 years ago. It would be one day if you tried to do it uninterrupted. 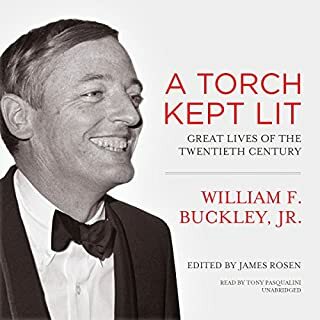 I own copies of 30 Bill Buckley print books and this was the only Buckley audio book I could find that was read by the author. That alone made it worth the purchase. 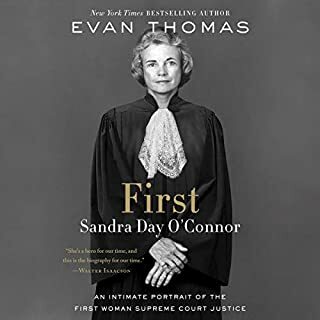 As I conclude this book, I find myself thankful to have been immersed for a time in the transcendent life story of a good human being, a portrait, never boring, conveyed with care and pace that left me feeling like a student encouraged to reach higher. Buckley's journey on Earth seemed one of ferocity of personal enjoyment, professional dedication, and intellectual rigor. I think the shear range and fullness of his experiences are enviable. Even though I could not relate to his relative privilege, I did relate to his apparent appreciation of and obligations to the many gifts in his life. I sensed in him, too, a duty to use his gifts to defend truth as he understood it. I never detected self-righteousness or arrogance in him; he was simply brilliant and beholden, accordingly, to the kind of pure apprehension that often evokes envy. One very fascinating detail, I discovered, was the number and depth of associations Buckley cultivated with individuals diametrically opposed to his political viewpoints. He was not afraid to subject his ideas to the crucible. That these seemingly odd relationships were so enduring and sentiments reciprocated is surely a testament to his good-humored nature and acknowledged stature. It's an otherworldly feeling coming away from this book. I somehow feel as if I've assumed the itinerary of an elite: joined the CIA, stolen aboard the Sea Cloud, crept through an unguarded gate (fully clothed!) at Bohemian Grove, and become an impertinence to the Queen of England. Even though I know I had no business being there, upon returning I feel compelled to do more with the itinerary I own. I only wish it were still possible to add "Shake hands with WFB" to that list. Buckley takes you along with him on journeys over land and sea wonderfully described, coming across dozens of the greats of the 1900’s, from Capote to Reagan. You get to be that fly-on-the-wall to enjoy the company of the rich and famous in their often opulent surroundings, and he sizes up many of them, mostly graciously. Buckley’s command of the English language along with his quick witted humor make this one a truly easy and enjoyable romp through that great era in our country. Made me wistfully miss many of our country’s leaders who’ve passed, and wonder what they would make of today’s world. The sound of paint drying. Given Mr. Buckley's reputation as a raconteur, I thought this book would be an entertaining read (listen?). Granted, some of the anecdotes from his childhood, his thumbnail sketches of famous people he has known, and his sailing adventures make good reading, but the bulk of the book is like listening to paint dry. 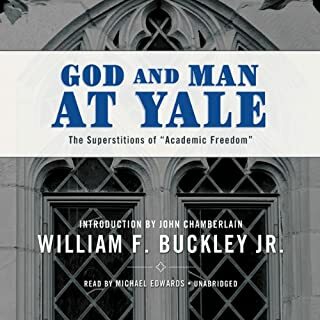 The book reaches its nadir when Buckley whines on for over an hour tearing into the critics who panned his first book (God and Man at Yale, 1951). 1951!!! I will grant you, Mr. Buckley, that we are all entitled to flog a dead horse now and then, but endlessly flogging your dead critics is an act of literary onanism. I expected better from you. I keep this book by my bedside -- it is an admirable soporific -- decidedly not habit forming and it will not leave you feeling groggy in the morning. I am not a conservative, but I love William F. Buckley. His insights - and soothing voice in the self-narrated audiobook - are worth hearing. This semiautobiography is organized as a collection of essays and textual fragments gathered from his long and illustrious career. Some of the bits are more interesting than others, but the sheer scope of the material, combined with a firm editorial hand, makes for an epic journey without much extra fluff. I said without much. Were I blessed with any interest in sailing, I would have given this book five stars. The passion comes through, but so does the obsession. Like the ocean itself, it's too big for its own good, skipper. I'd say skip it. My favourite bits include the recollections of his childhood and adolescence, the intriguing saga of the divisive university politics at Yale, the passionate love letter to wine, the transcript of the famous Panama debate with Reagan, the copious pages of political and literary gossip, and the amusing asides on a dozen trivialities enlivened with wit and irony. All of it is served with honey; on nigh every page you can taste the sweet and unswerving devotion, by Mr. Buckley, to mastering the peculiar manners, the power and the vocabulary of the English tongue. Buckley is no saint. While I loathe his Catholic mysticism and warmongering apologetics, there is no conservative I'd rather have around today. He was never anything less than idealistic. He was deadly precise in his reactionary fervour and always honest in his dealings, which gave progressives some healthy target practice - and a good model to emulate on the other side. Being dangerous enough to be taken seriously is already an impressive, lasting legacy, but this is not the best engraving on his tombstone. No. Buckley's greatest contribution, I believe, was his cultivation, by word and deed, of the power of reasoned debate. He showed us that there is no controversy that cannot be made more tolerable by being placed on the Firing Line. Without "frenemies" like him to keep us straight, the endangered art of civility will sink to the sea with the Titanic and Atlantis.